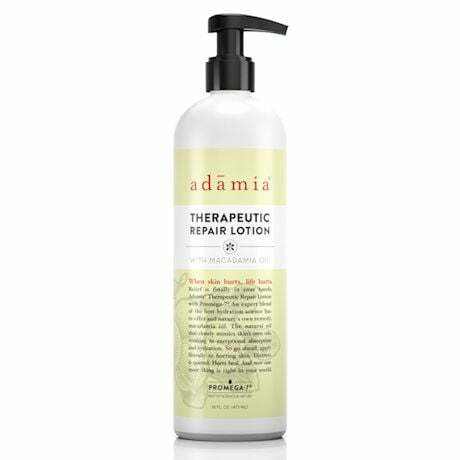 Dermatologist tested Adamia is serious help for red, cracked, burning, broken, or insanely dry skin. Clinically tested Adamia uses natural Macadamia oil that mimics skin's own oil allowing it to absorb quickly without greasy residue. Clinically proven moisturizers blend to create Promega-7 to help quiet and heal distressed skin. Fragrance-free, non-allergenic formula.